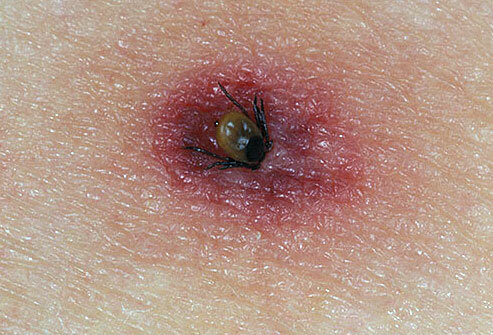 Oils from several herbs are showing promise in treating Lyme’s Disease. These herbs treat the bacteria that causes the disease and helps with symptoms caused by the hearty Lyme’s Disease bacteria. Lyme’s Disease and several other tick-borne illnesses are becoming more common I almost every state in the US. East coast areas in Maryland, Pennsylvania, and Virginia are hot zones, but even Montana is increasing in cases annually. John’s Hopkins University researchers are testing many options in the battle to deal with Lyme’s disease. Many cases ae not reported. Symptoms vary with individuals. 20% of infected victims experience lasting symptoms which show up as joint pain and fatigue. Some infections are slow growing, can remain dormant, and can be resistant to antibiotics. To address these hearty bacteria cells, ten essential herb oils seem to help. Oils from Garlic cloves, myrrh trees, thyme leaves, cinnamon bark, allspice berries, and cumin seeds, show the most promise. They have also found that antibiotic combinations and drugs that treat MRSA work better than more common antibiotics used to treat Lyme’s disease. These tests are being made on animals and soon humans. Once they can deal with the bacteria, other protections and treatments will follow. For more Montana Grant, find him essentially oiling up at www.montanagrantfishing.com.